Motorists could save as much as 50 per cent on servicing and MoTs by shopping around for the latest money saving deals, according to research from TootCompare. According to TootCompare - a real-time comparison site - MoT and servicing charges can vary greatly, with some of the best deals going unnoticed because motorists are not searching for the best deals. 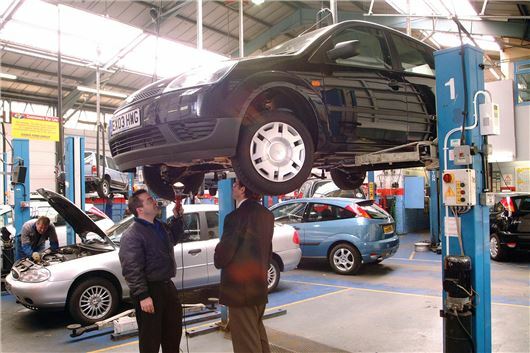 “The annual cost of an MoT and servicing can be a burden on stretched pockets,” said Douglas Rotberg, CEO of TootCompare. TootCompare allows motorists to search for the cheapest deals by entering their car registration and their postcode to get a breakdown of the car service providers in their area. They are not comparing the quality of service which is the most important part. There is no VAT on the MoT Test figures - poor journalism. First service for my Honda CRV listed as £215 inc VAT on Honda website. Travelled 20 miles and AN Other Honda Service outlet £90 with a Honda stamp in the book!! I have read on garage forums that TootCompare have listed many garages, and their labour rates, without the garages' consent. They are also showing garages with Motorcodes membership when they aren't members. I don't know how they get away with this.